Mousam Valley is located in Springvale, ME. Mousam Valley grows certified organic mushrooms as close to wild as possible. 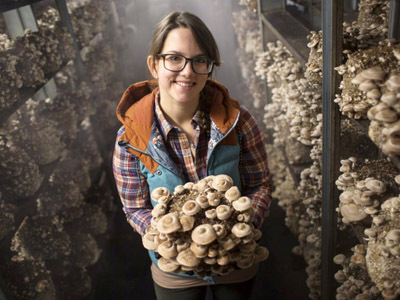 They cultivate their fungi on Maine hardwood & straw, sourced sustainably from the local woods & fields. The Boston Organics Community has been enjoying their wide variety of organic oyster mushrooms since 2015.